The Tibet film evening is on 7th February with three Tibetan films. HRHW 2013, Norwegian Tibet Committee and Voice of Tibet welcomes you to a whole evening packed with interesting films and discussions. The evening will entail several movies and a debate about the situation in Tibet and Tibetans in exile. Every film will be followed by discussion with panel and audience. 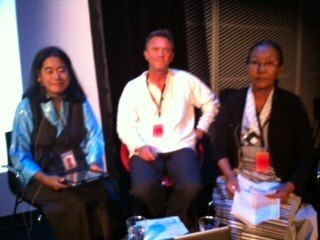 Members on panel are Ngawang Choephel (Director for Songs in Tibet), Chungdak Koren and Øystein Alme. We look forward to seeing you at Cinemateket on February 7. Tibet Night part 2: Film “Tibet in Song” at 9pm. All the events will take place at Cinemateket/ Filmens Hus, screening room “Lillebil”. Cinemateket is located at Dronningens gate 16. Sign the petition for Dhondup Wangchen’s release! Tibet – a cultural genocide? Tibet in Song is a heartbreaking tale of cultural imperialism, exploitation and resistance. The film provides a raw and uncensored look at how China aims to transform Tibetan culture. The film is giving voice to Tibetans engaged in the fight for their cultural heritage and speaking out against Chinese policies. Ngawang Choepel was sentenced to 18 years in prison for making this film. He was released after six years of relentless protests from, among others, Amnesty International and his own family. Tibet in Song is a heartening tale of cultural exploitation and resistance, including Ngawang’ own imprisonment for filming folk songs in Tibet, and ends with a look at Tibet today, a country still plagued by Chinese brutality, yet still willing to fight for the existence of its own cultural heritage. The film celebrates the traditional Tibetan folk music and encompasses a harrowing journey into the past fifty years of cultural repression inside Chinese controlled Tibet. I have recently returned to Norway from visiting Washington DC for International Campaign for Tibet Europe and USA’s board meeting. Whilst in DC I was invited to Voice of America’s Kunleng talk show to discuss the Tibet movement in Europe. Below is the recording of Kunleng. The Chinese Ambassador to Norway, Zhao Jun, had an article published in the Norwegian newspaper Aftenposten on 17 December on Tibet and His Holiness. This is a link to the English translation of his article from Google Translate. Many people have reacted to this article. I have written a reply to his article which was published in the same newspaper on 20 December. Below are two replies to Zhao Jun’s article. The first is my reply and the second is from the Norwegian Tibet Committee’s Acting Chair Grzegorz Odor. On behalf of the Working Committee I have the pleasure of informing you that at the initiative of the Tibetan Communities in Europe, the 10 March 2013 rally will be held in Brussels. The European Solidarity Rally is jointly organized by Tibetan Communities in Europe, Swiss Tibetan Friendship Association, International Campaign for Tibet Europe, Les Amis du Tibet, Vrienden van Tibet and two Europe Chithues. Given the critical human rights situation inside Tibet, it is our goal to see a huge pan-European Rally where our supporters from across the continent join us to urge the European Union to make Tibet the top priority in their bilateral relations with China and help to resolve the Tibetan issue peacefully. We are also pleased to announce that prior to the Solidarity Rally, Tibet Lobby Days will be organized from 6-8 March, 2013. The details of the participation and the program will be available soon. Please save the date and we look forward to seeing you all at the heart of the European Union to show our solidarity with our Tibetan people. Many many greetings and Tashi Delek from the two European Chithue! The Flame of Truth and the signature campaign for Tibet was started on September 2, Democracy Day of Tibet in Africa, Australia, Canada, North America and Europe. The opening ceremony of the European Tour in Barcelona was fantastic, full of aspirations and collaborations. The European Tour of Flame of Truth will go to 22 countries and 28 cities. Chithue Thupten Wangchen la is travelling with the Flame. Today they are in Andorra, the second country on our tour. 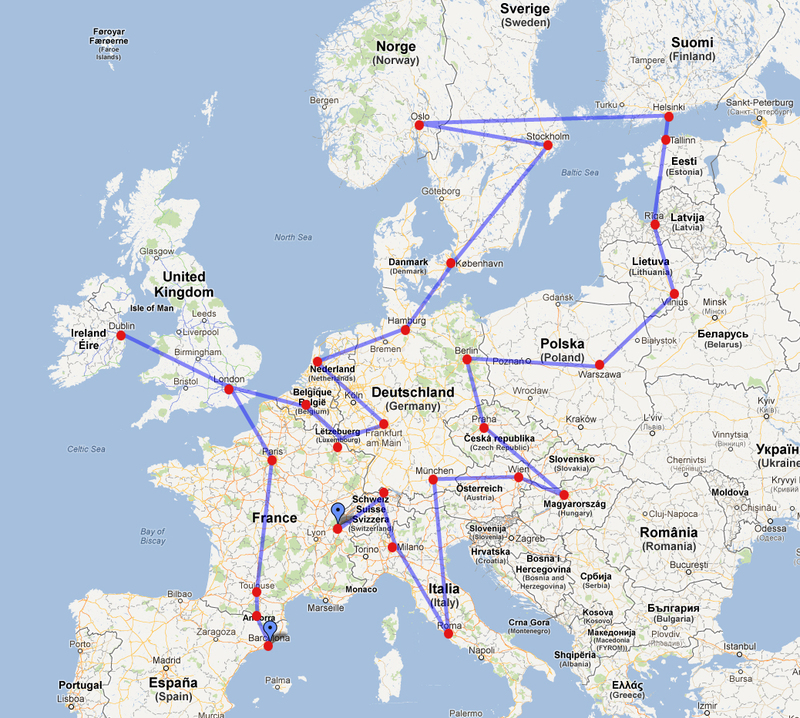 You can visit our Flame of Truth European Tour on Facebook www.facebook.com/FlameOfTruthEurope We will update our achievements every day. REQUEST: All our forthcoming tour organizers, please do let us know when we should arrive, what time and where? We need full address with zipcode (for our GPS) Please, try your best to organize as many activities and maximum signatures campaign in your local area till 4th November. That would be great if you could arrange your City Mayors, Parliamentarians and VIPs to receive the Flame of Truth with an official car. 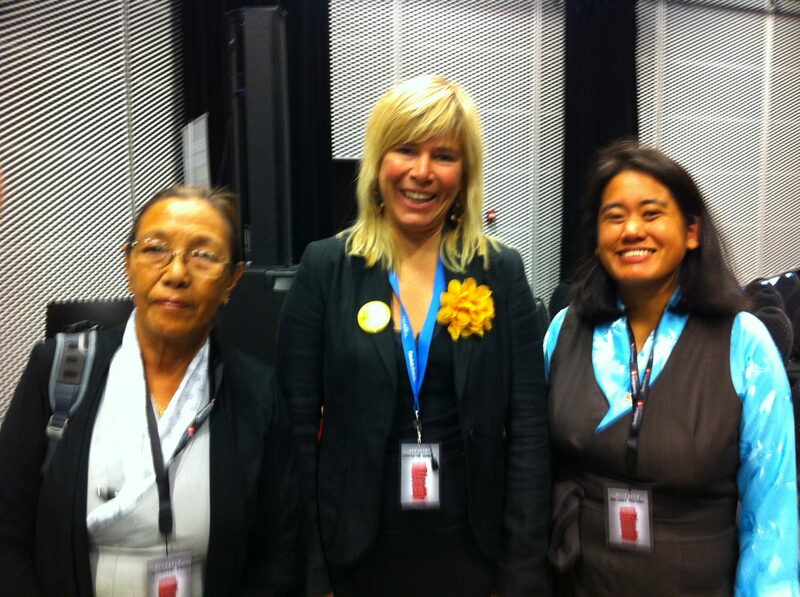 We really appreciate the sincere involvement and support of our Europe Representatives of Tibet Offices. Tibet and Tibetan writers were highlighted on Saturday, September 1, 2012, at the Bjørnson International Festival of Literature at a successful event co-hosted with Amnesty International and Norwegian Tibet Committee. Øystein Alme of Voice of Tibet radio station introduced the two speakers, Chungdak Koren and Dechen Pemba, to a packed and attentive audience. Following Dechen Pemba’s reading of the poem “A Sheet of Paper Can Become a Knife” by Tibetan poet Woeser, member of the Exile Parliament, Chungdak Koren, gave an overview of the background to the current political situation and talked about the ongoing self-immolations in Tibet. Koren also explained the position of the Central Tibetan Administration with regard to the Tibet issue. Dechen Pemba, editor of the translations website High Peaks Pure Earth, went on to give a presentation about the crackdown on intellectuals in Tibet, especially since 2008 and highlighted cases of writers and poets such as Tashi Rabten and Pema Rinchen who have been imprisoned by China for peaceful literary expressions of their views. 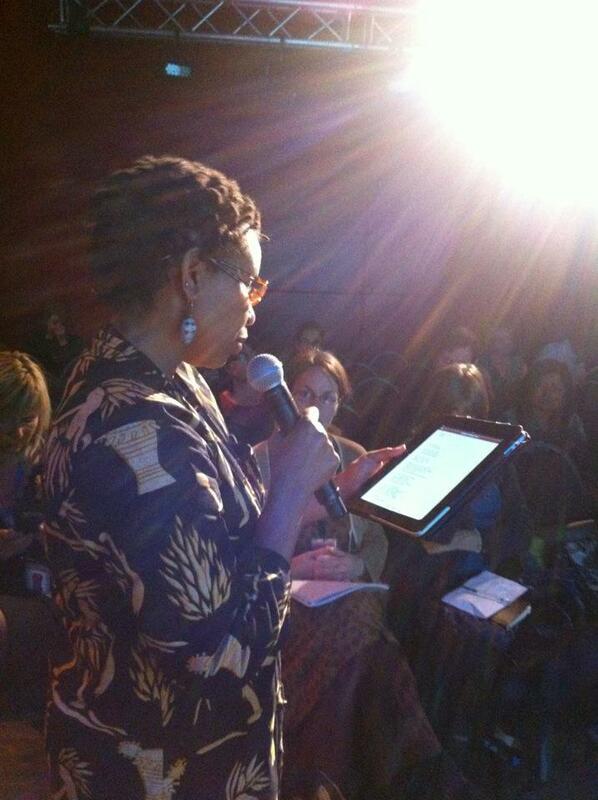 The work of Tibetan exile writers was also featured in Pemba’s presentation. Pemba read an extract from exile writer Bhuchung D. Sonam’s most recent publication “Yak Horns” and invited Kenyan writer and poet in exile Philo Ikonya to read a poem by exile Tibetan poet Tenzin Tsundue titled “My Tibetanness” to close the event. The Bjørnson Festival of International Literature in Molde, Norway, is a prestigious annual event and is named after Bjørnstjerne Bjørnson. Bjørnstjerne Bjørnson is considered, alongside Henrik Ibsen, to be one of the four great Norwegian writers. Bjørnson penned the Norwegian national anthem, advocated for minority rights and was awarded the Nobel Prize in Literature in 1903.